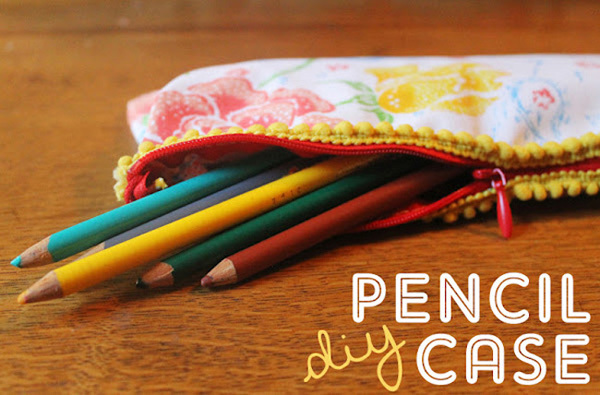 16 Awesome DIY Pencil Case Tutorials To Make This Weekend! Back to school is much more fun when you don’t actually attend school anymore!! Am I right?! I always loved buying new stationery, but not so much the school part. 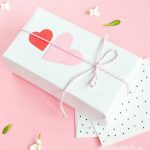 After yesterday’s post of a lovely Cath Kidston inspired DIY pencil case tutorial I thought I would share an extra 15 for you all to try/choose from. How beautiful is this case by Kristyne from Pretty By Hand? 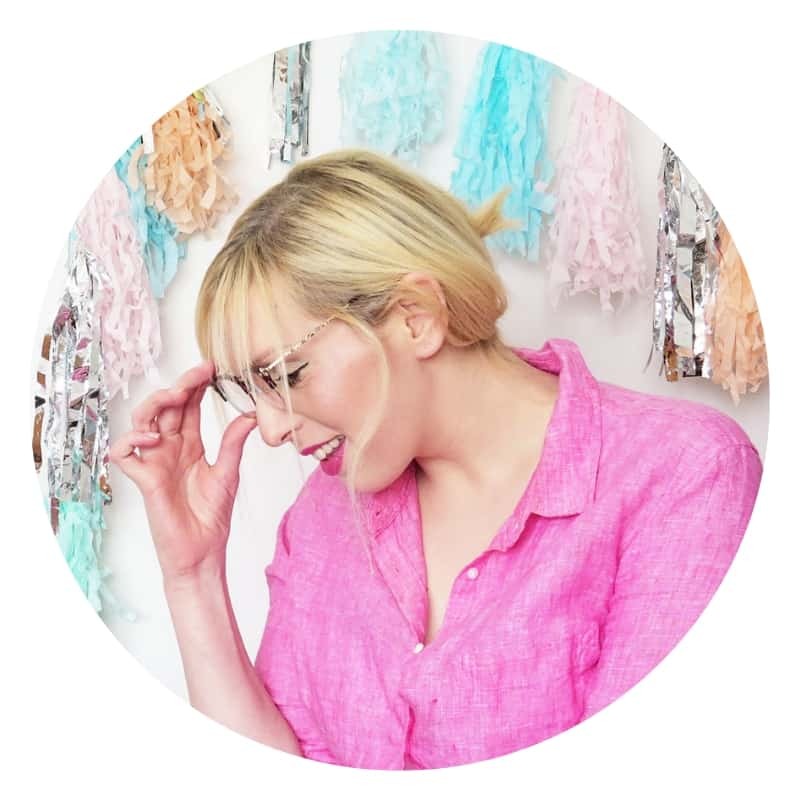 This isn’t a free tutorial but I thought it would serve as some fabulous inspiration for you! 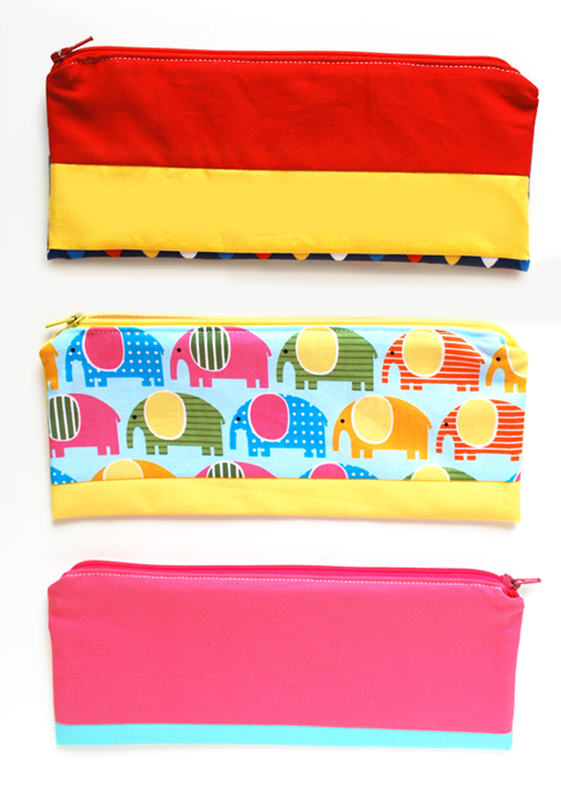 Rounded Pencil case tutorial PDF pattern. This is the most awesome pencil case ever! You could even cover it in washi tape. 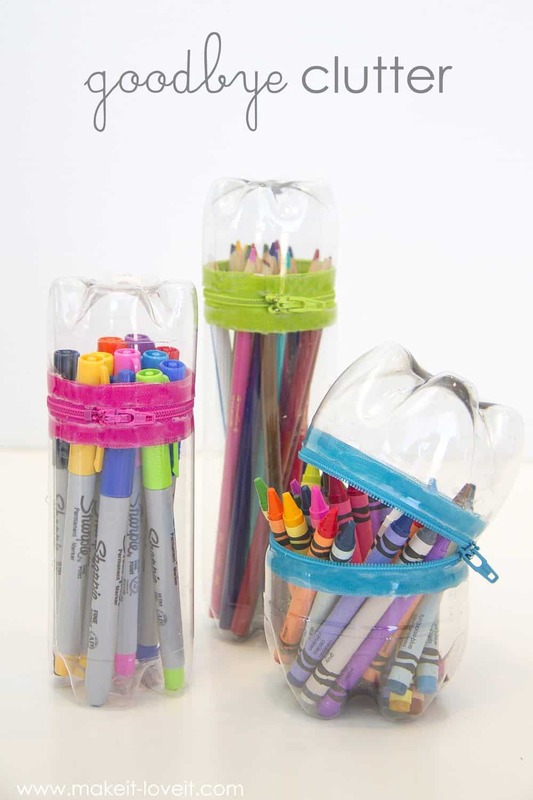 All you need is some sturdy soda bottles, strong zippers and hot glue! Oh, and something sharp. Be careful! 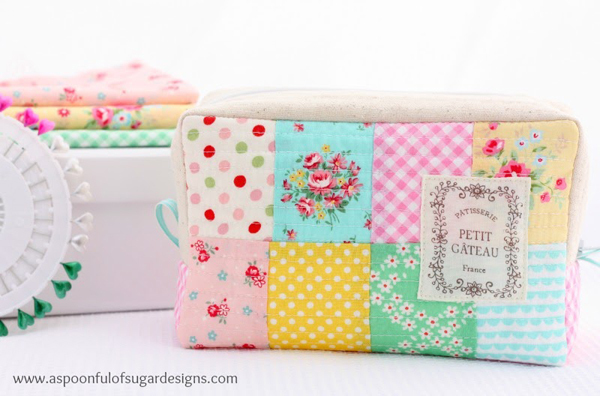 This is the Cath Kidston pencil case tutorial from right here on the blog! Pretty Japanese Style patchwork large pouch. This type of cosmetics box pouch can make a great pencil case if you take art and carry your supplies around! I would recommend lining with oilcloth or a treated cotton. And if you study art or anything ALWAYS put a cap on your craft knives. Seriously, I can’t tell you how many pencil cases I’ve sliced right through! For some reason, (I wonder why ?) I cannot look at this photo with the little name in the bottom corner without Julie Andrews singing in my head! 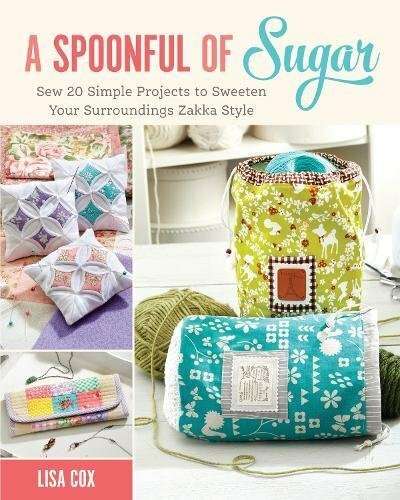 Another, rather lovely Zakka style sewing pouch from A Spoonful of sugar designs. 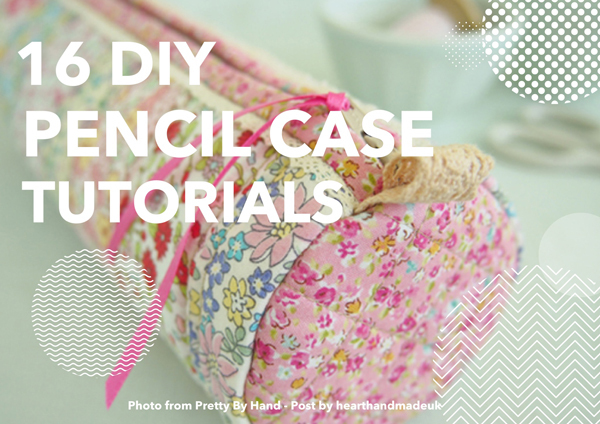 These fabulous ladies have so many pencil case tutorials! 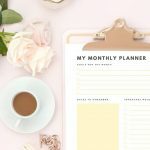 I won’t share them all here, you can just look at their most popular tutorials in the sidebar. They’re all there! 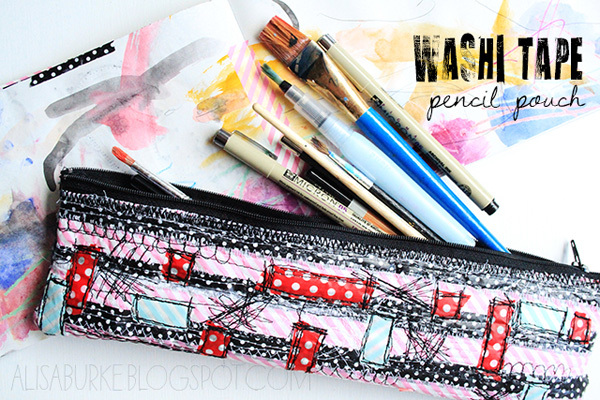 Alisa Burke created this messy stitching Washi Tape pencil pouch tutorial. 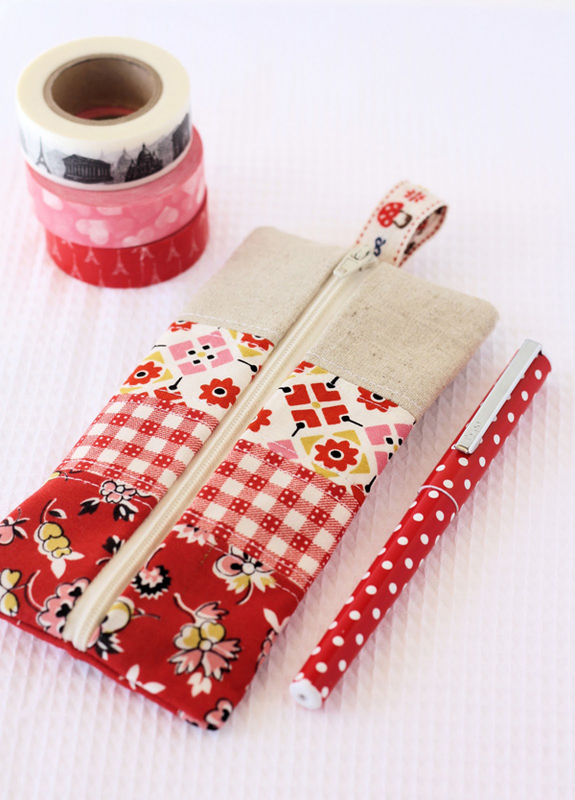 A rather beautiful flat pencil case tutorial that can be created using some pretty contrasting material. 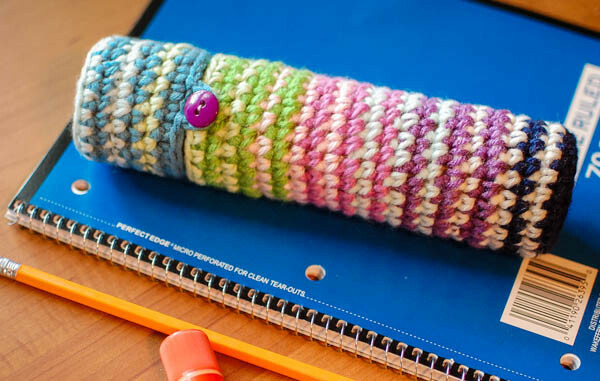 A crochet pencil case tutorial! It can be made a little sturdier depending on the type of yarn you use, you could even use bakers twine to make it super sturdy. It’s also possible to do a little recycling and stick a paper towel tube in there to make it super sturdy! There are some crackers cans (depending on what country you’re in) which are like slim, mini pringles cans which are the perfect size for a pencil case. 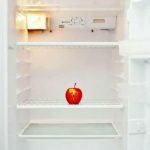 Keep an eye out at the grocery store! 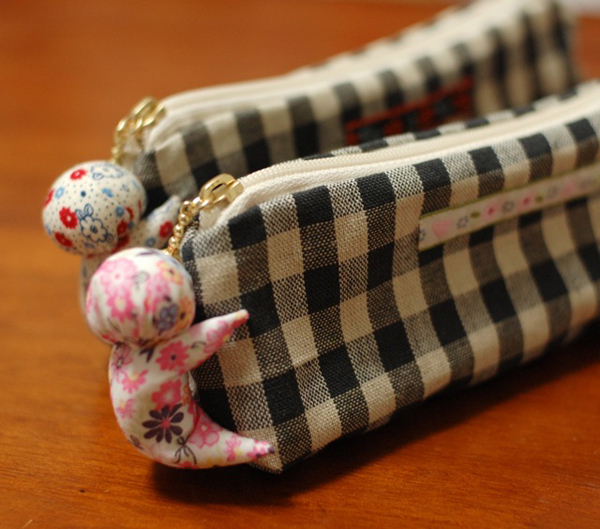 This is a lovely little gingham zakka pencil case tutorial! eep!!! This one for me, please!!! 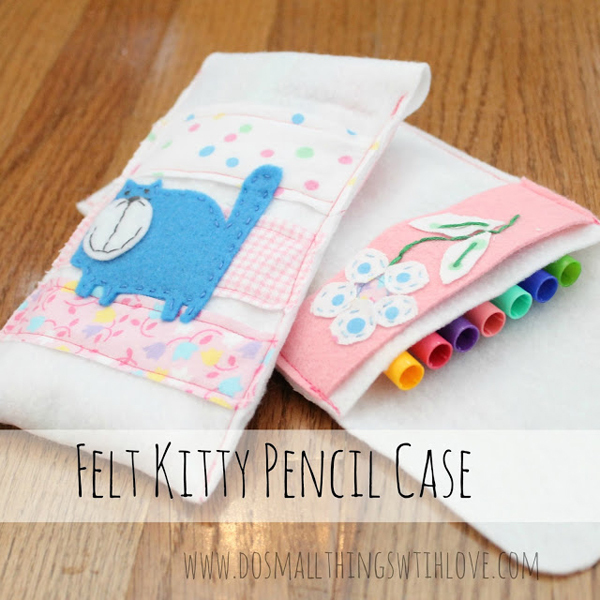 This felt kitty pencil case tutorial is from Do Small Things With Love. 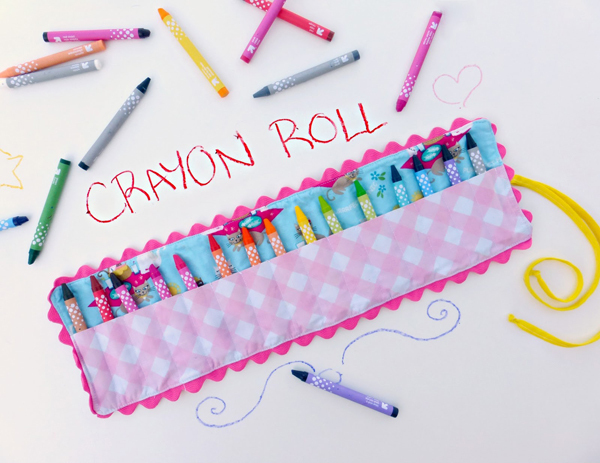 How adorable is this little crayon roll from Domestic Bliss Squad?! A lovely little pom pom trim pencil case tutorial is from Shop Ruche. This is another incredibly simple DIY pencil case with pom pom trim, which I think is a gorgeous addition! I love this style of a zipper and it reminds me of a large pencil case that I had in school and absolutely LOVED because it held so much, although the base was much larger. 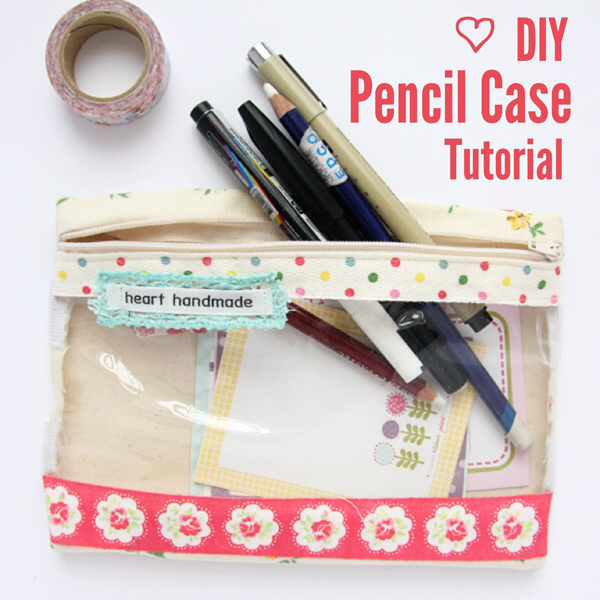 Had enough of pencil case tutorials yet?! Have you ever made a pencil case? Is it easy? I’ve made a very simple pencil case but I’ve never ventured any further than the Cath Kidston pencil case above. 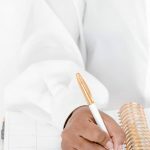 Hi there, after reading this awesome post i am as well happy to share my familiarity here with friends. I really love these ideas. Especially since most of them are better than the store ones and they’re closed so I can tell someone I don’t have a pencil and they won’t see it. Srry, not mean, but some people ask every day. I totally understand. I was always the nice kid who leant out pencils and never saw them again. 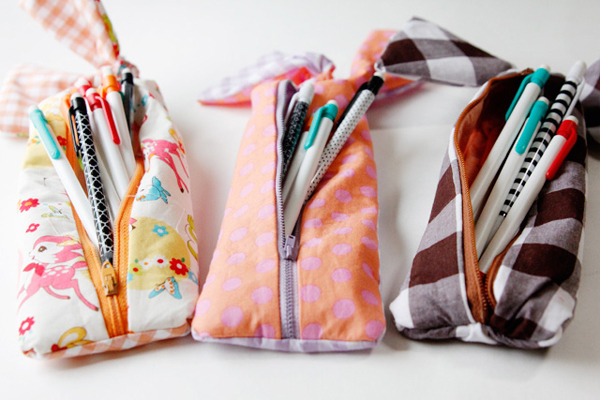 These are GREAT ideas for pencil cases I will definitely try them while I’m teaching my daughter how to sew. That’s great news! Did you teach your daughter how to sew? All these cases are so pretty! And my daughter could definitely use the crayon roll case. These are all so cute, that I may have to DIY myself a pencil case! Thanks so much for sharing with us this week Claire! Pinned.